The FCCG has developed a multitude of programs geared towards prevention and awareness that target multiple populations such as middle, high school and college institutions, elder service providers, addiction, medical and mental health professionals, employers, gaming operators, and others. 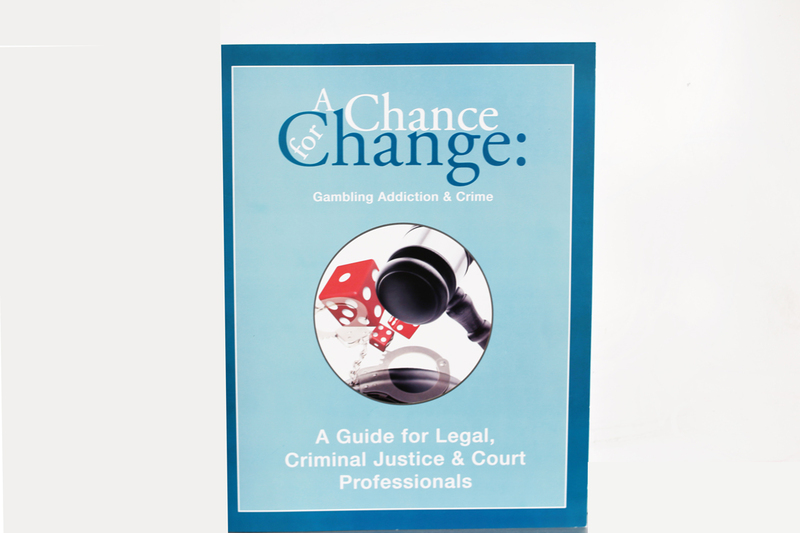 The primary purpose of the FCCG’s A Chance for Change: Gambling Addiction and Crime program is to ultimately enable the judiciary to identify and secure viable alternatives to incarceration alone and to provide the opportunity for rehabilitation to persons committing crimes as the result of a gambling addiction. This program provides free supports throughout every phase of the criminal justice process to law enforcement, legal, judicial, probation, state and federal prison authorities, or as part of a law enforcement program. 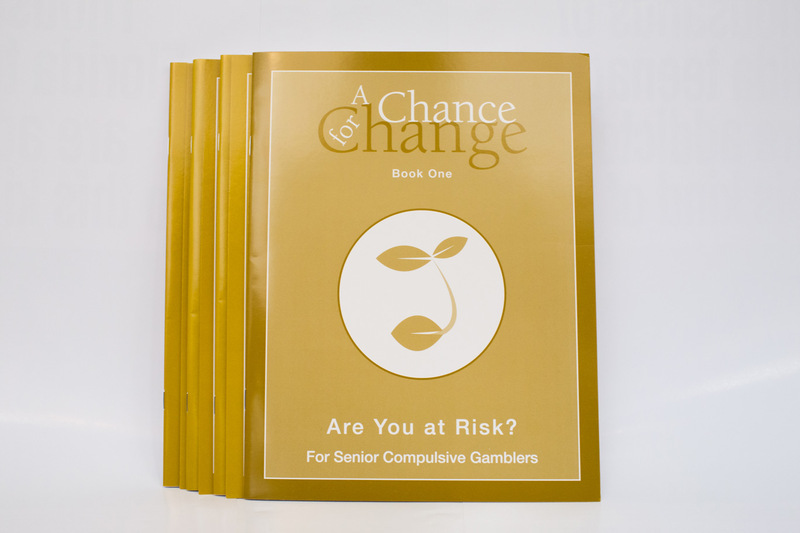 The A Chance for Change: Gambling Addiction and Older Adults program offers viable and innovative approaches to prevention, assessment, intervention, treatment, and outreach strategies for various types of senior service providers such as caretakers, health professionals, assisted living facilities, and others. It also addresses common situations that seniors encounter and identifies age appropriate solutions. 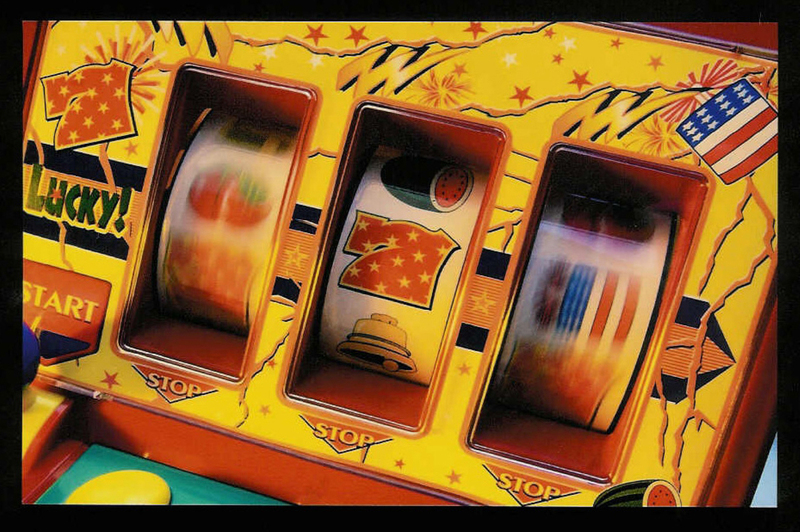 Are You Gambling with Your Life? It’s not unusual for active or retired members of the military to take risks. The very nature of defending one’s country, at times, requires soldiers risk losing their lives in order to protect the safety of those at home. Combat Gambling Addiction offers awareness materials for soldiers, veterans and their families discussing the dangers of gambling addiction, as well as tools for military health care professionals that aid in screening and educating about the problem. Dealing with Addiction offers a look into the complex world of cross-addiction, featuring the presence of problem gambling intermingled with substance abuse, and mental health issues. A joint effort by the FCCG and the Florida Alcohol and Drug Abuse Association, Dealing with Addiction arms treatment professionals with the resources to recognize, assess, and advise patients in their care that may also suffer from problem gambling through the use of assessment screens, research, a PowerPoint presentation, a compelling and insightful 15-minute video, and more. Everyday compulsive gamblers and those they adversely affect present in doctors' offices, emergency rooms and elsewhere with symptoms never attributed to gambling. Diagnosis: Pathological Gambling includes a 10-minute video presentation featuring important information and field experts, as well as a comprehensive medical professionals guide, with screening tools, collateral items for patients, and additional materials. Improving the: Odds Responsible Gaming & Player Protection Program prepares gaming industry staff for diverse situations with customers experiencing difficulties with problem gambling. 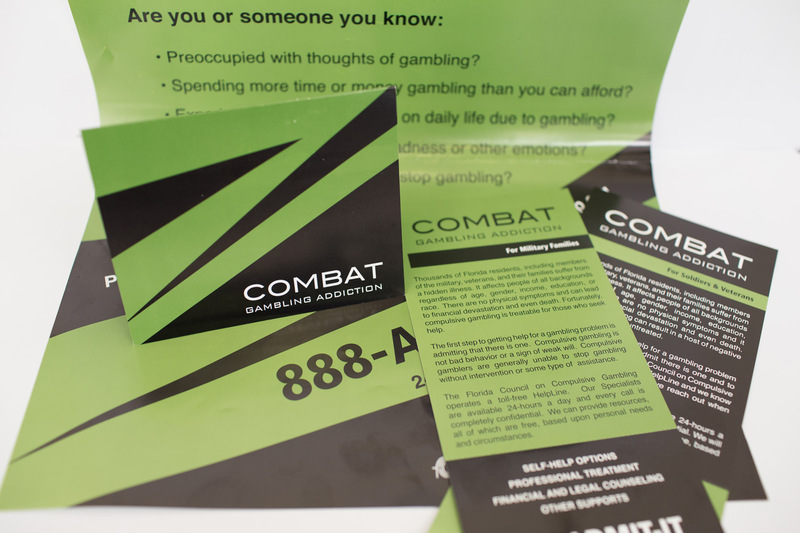 The program arms the gaming industry with a greater understanding of gambling addiction through explanation of the issue and its progression, typical signs, real-life stories and common scenarios, and assistance options available to guests and employees. 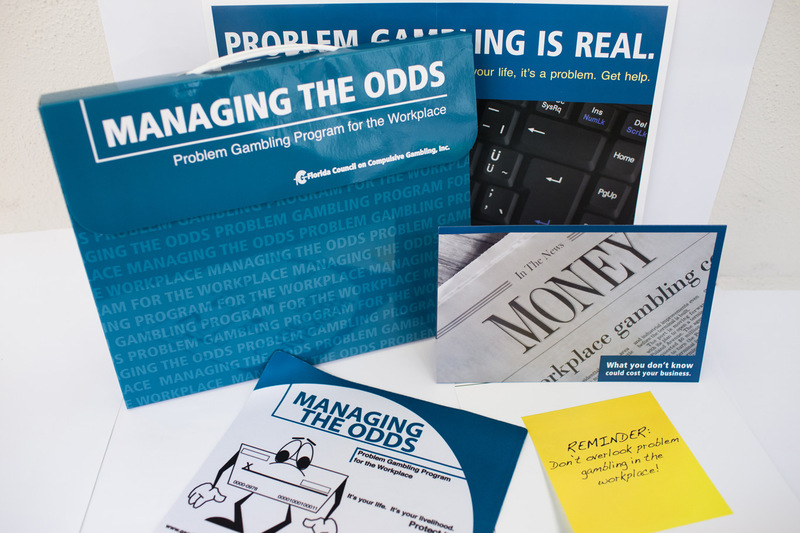 The FCCG's Managing the Odds program empowers employers to develop a site specific plan that increases employee awareness, provides support to personnel who may be experiencing gambling related difficulties, and establishes a workplace culture conducive to recovery for employees with a gambling problem. Managing the Odds is intended to bridge gambling addiction services as a natural extension to existing programming regarding other employee addictions and mental health issues at all levels within large and small organizations. 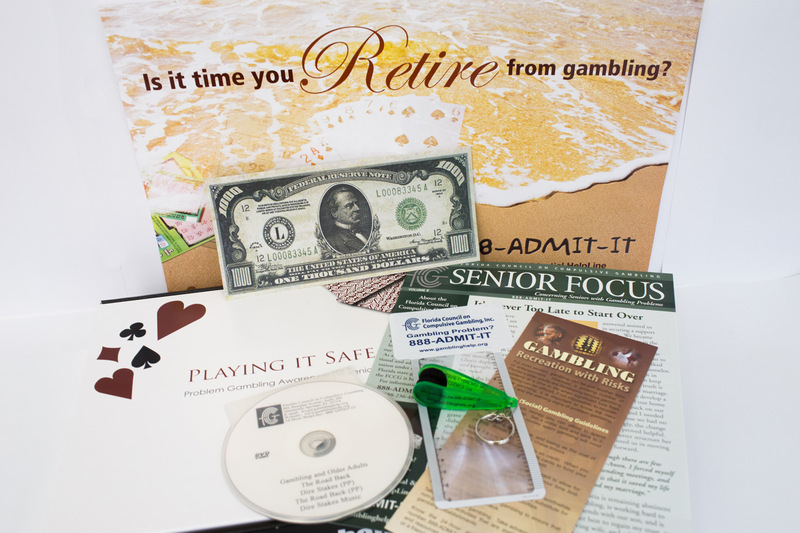 Playing it Safe is an educational and instructional toolkit that enables senior service providers to present the topic of gambling and increase awareness among older adults. 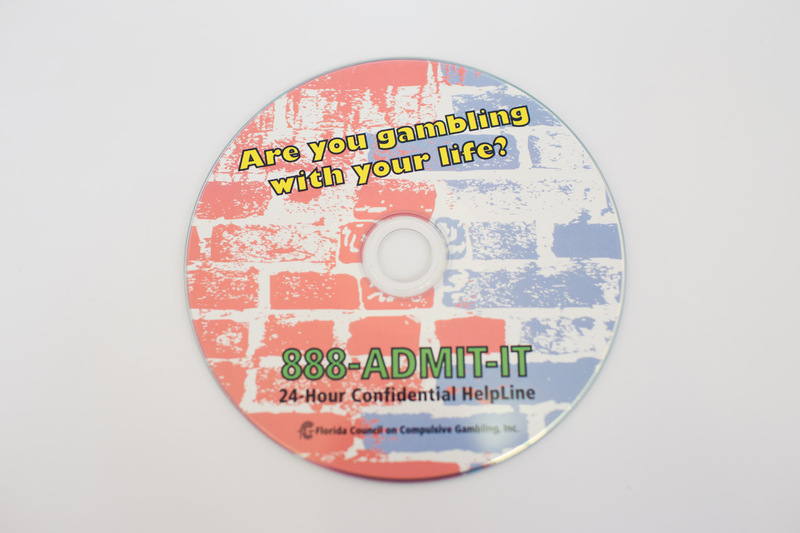 It includes an instructor's guide, a Dire Stakes game (CD PowerPoint Program and handout), videos of recovering persons, including field experts, a video docudrama, fact sheets, posters, brochures, playing it safe money with tips on keeping gambling recreational, collateral items and more! 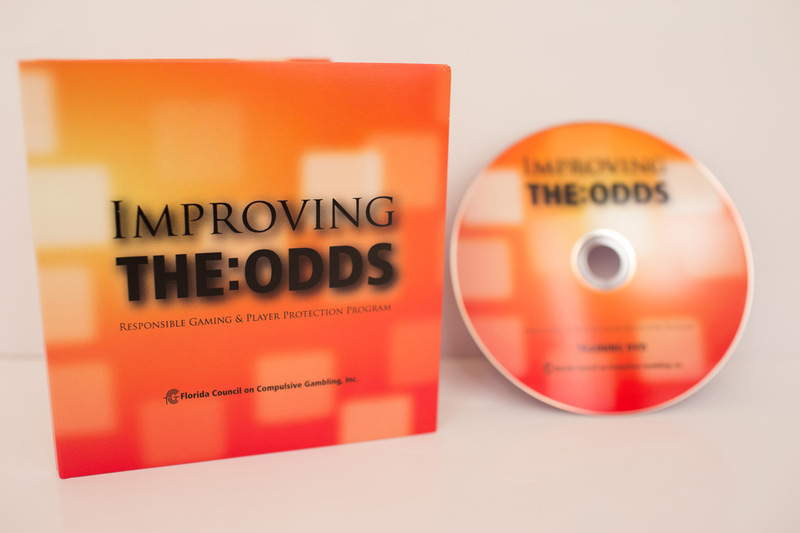 The FCCG's Responsible Gaming and Player Protection Program (RGPPP) is a step-by-step comprehensive guide that helps the gaming industry navigate its way through conducting a self-assessment, devising an organizational philosophy, establishing an administrative and internal program structure, and developing problem and compulsive gambling policies and protocols. 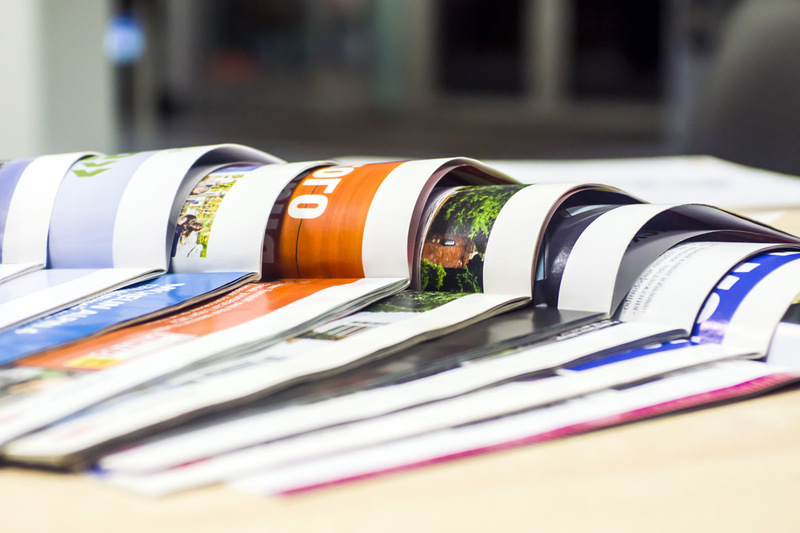 Contact us for more information and a program designed especially for your facility! College students with a gambling problem can risk ruining their lives at a period in time when they are first gaining independence and self-reliance. Unhealthy decisions made by college age students can have lifelong negative impacts. 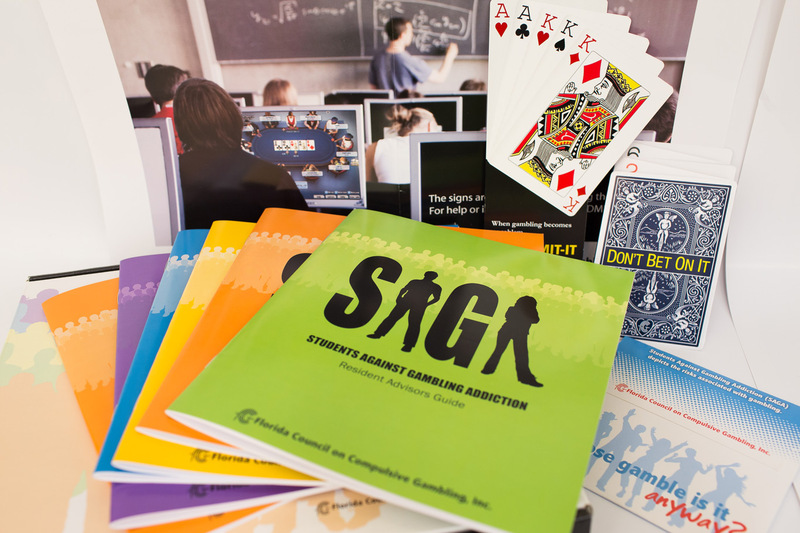 The FCCG program, Students Against Gambling Addiction or SAGA , developed in cooperation with the University of Central Florida, and endorsed by the National Collegiate Athlete Association's Department of Agent Gambling and Amateurism Activities, aids institutions in devising campus-wide programs, and provides training guides and/or training materials for college counselors, peer advocates, resident advisors, financial aid personnel, coaches, students/student-athletes, administrators, and others. The SAGA Peer Educator Program provides a guide for college student peer educators to increase awareness and education among other college students. Through the use of a lesson plan, screens, and various activities, students are able to discuss the dangers of gambling addiction and learn ways that they can help. 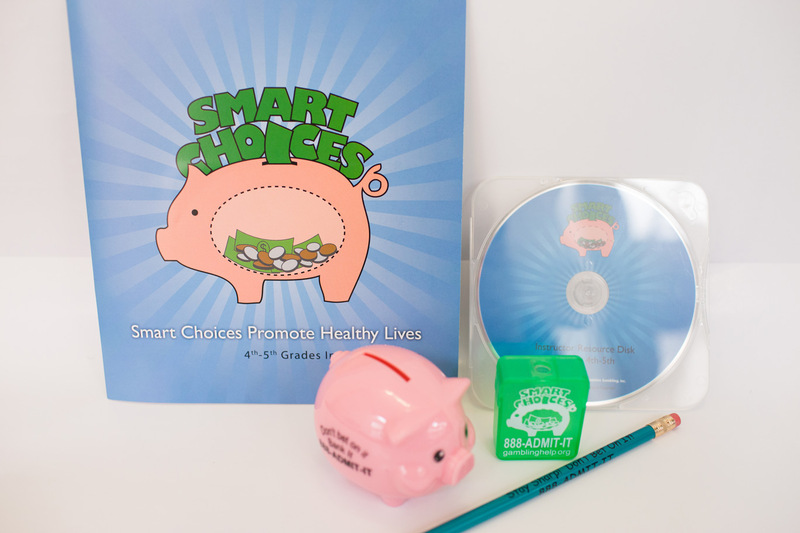 The FCCG developed its Smart Choices program, which consists of two ready-to-use lesson plans, both of which promote healthy discussion, and includes worksheets with fun activities, as well as specially designed collateral items. The 1st-3rd grade program discusses the role that “dares” play among youth, reinforces the short and long-term consequences of gambling, and helps students to understand they have options and can make smart choices that will be in their best interests, even when pressured by others. Additionally, it promotes honesty as the best policy, the importance of turning to a trusted adult in times of concern, and lays the groundwork that money is not to be wasted, but saved for needs and wants. 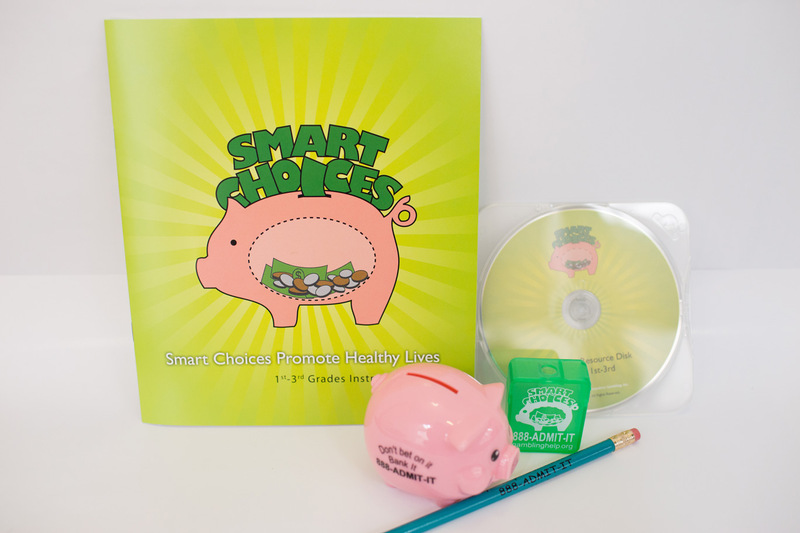 The FCCG developed its Smart Choices program, which consists of two ready-to-use lesson plans, both of which promote healthy discussion, and include worksheets with fun activities, as well as specially designed collateral items. The program, designed for 4th-5th graders, highlights the diverse ways in which young people value different things. It also describes betting with money or other items of value as a risk-taking behavior with long-term impacts, and encourages students to think of the ways in which they spend and save money. The National Federation of State High School Associations teamed up with the NCAA and the FCCG to develop a comprehensive lesson plan for high school student athletes. In addition, the Florida High School Athletic Association (FHSAA) has provided this lesson to its membership and strongly encourages coaches to utilize this program as well. 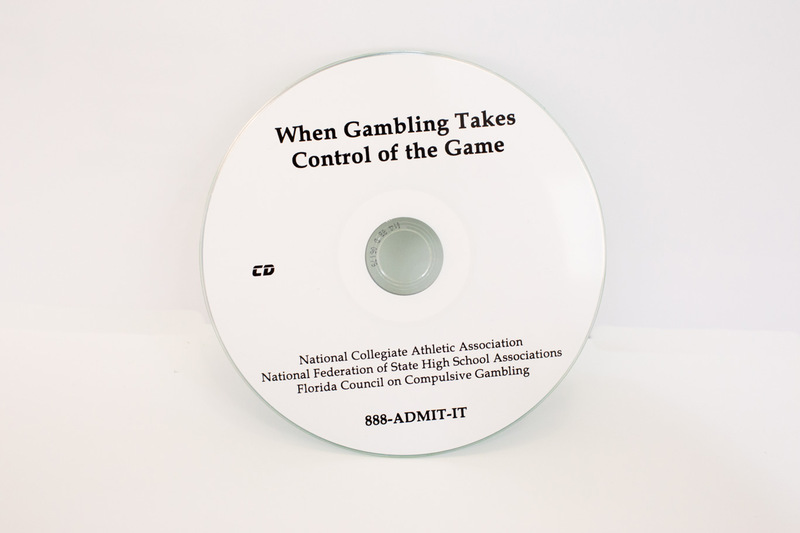 The program provides guidelines for coaches and educators, and is designed to educate high school student-athletes on the various forms of gambling, the addictive dangers of these activities, and the possible adverse impacts on a student athlete’s education, sport, professional career, and future. 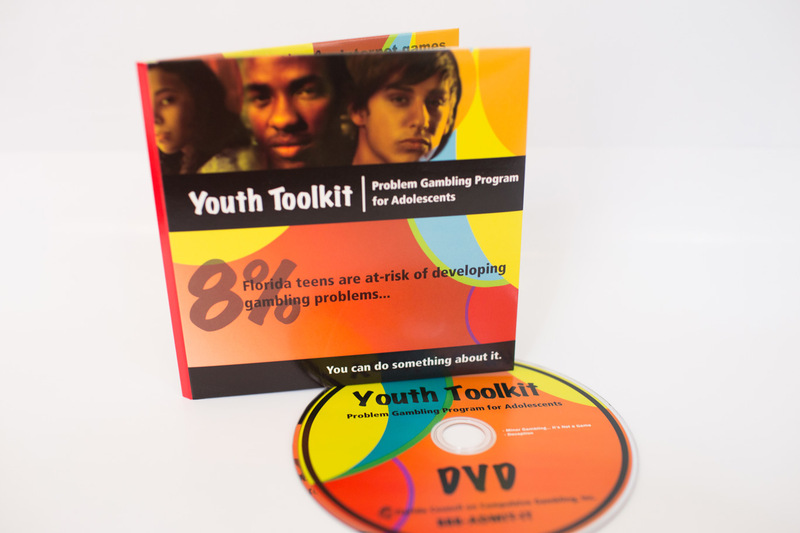 The FCCG's Youth Toolkit, Underage Gambling….It's Not a Game includes an introductory video about youth gambling and problem gambling, highlights the stories of recovering youth, and explains how the different program materials are intended for use. The toolkit provides tangible tools for parents, teachers, counselors and students, and furnishes insight using factual information, as well providing a counselor guide, learning exercises, the State approved Problem Gambling Prevention Program for Middle and High School Students, a video docudrama on teen betting, an interactive computer game, Dire Stakes(using the PowerPoint program), collateral materials, and more.